He has been infected by the gaming virus at the early age of 6, and he still did not find any cure for it. After his first year of university he started looking for a job, like most of the students, and ended up at Ubisoft Bucharest. 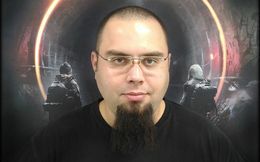 From 2010 to 2015, he had been part of the QC Department as a game tester, after that he joined the DevTest department, which works directly and is a part of the production team in the studio.